Clevestine Cline 65, of LaRue, died peacefully late Monday evening December 3, 2018 at her home surrounded by her loving family. 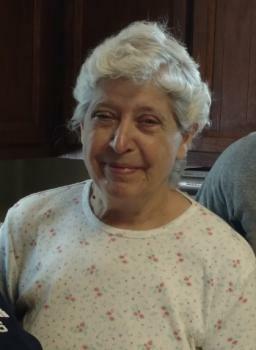 She enjoyed cooking, watching and analyzing movies, shopping for the best deals, gardening (tending to her very large garden), canning and freezing what she grew, taking care of her fruit trees, caring for her hummingbirds that came back every season, she always had one special dog in her life, and she loved her grandchildren very much. She was a loving wife and a dedicated mother who loved to laugh and listen to music. A unique and strong woman that was the center of her family. She battled with cancer for two years, she was a shining example of bravery for her family. Christine and Family so sorry for your loss,she was a beautiful person,always had a smile when ever you saw her. What a wonderful lady, always smiling and laughing and warming every conversation. God bless her and the entire family. Chris and family I am so very sorry for your loss. Thinking of you all.